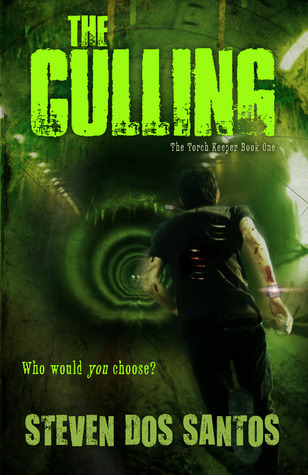 The Culling is the first book in The Torch Keeper series, a sci-fi adventure quite similar to The Hunger Games. Lucian "Lucky" Spark is Recruited into a challenge that weeds the weak from the strong, and must then become an Imposer in the corrupt Establishment. If he fails, they will kill his little brother. He will do anything to keep his brother alive, even sacrificing the other Recruits. When Lucky falls in love with another recruit named Digory Tycho, he must balance his feelings for Digory with needing to keep his brother alive. The Establishment will take your loved ones, and they will use them against you. Lucky must keep his loyalty to his loved ones while hiding his hatred of The Establishment. Fast-paced and exciting, The Culling is a great dystopian series with a male protagonist and LGBT relationships. 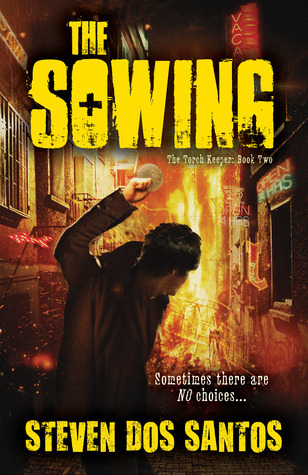 In the second book in the series, The Sowing, Lucky has made it through the brutal Trials and almost completed training to become an Imposer for the Establishment, all while secretly fighting back as a rebel called The Torch Keeper. Lucky is still recovering from the loss of his boyfriend, Digory Tycho, and the kidnapping of his little brother, Cole, by the Establishment's Prefect, and Lucky's sworn enemy, Cassius Thorn. Cassius will stop at nothing to either destroy Lucky or turn the rebel to his side, including making him an Incentive in the next round of Trials. Lucky must navigate tricky political alliances, rescue his brother, and try to stay alive while fighting a cruel Establishment that isn't everything it seems. This fast-paced and violent story has a first-person-shooter style point of view, making it perfect for video game fans, especially boys. While the plot may be strikingly similar to The Hunger Games, the characters, in particular, are unique enough to make it a very enjoyable read. I highly recommend The Torch Keeper series, particularly for reluctant readers, boys who play video games, and fans of The Hunger Games. *Review first published in School Library Journal.